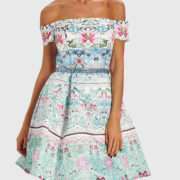 Forever Unique Miley Off-Shoulder Skater Dress. Stand out from the crowd in the Miley blue printed off-shoulder skater dress. 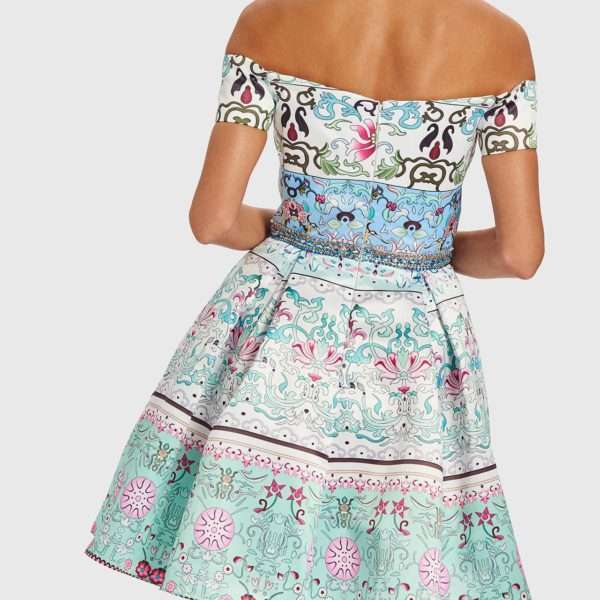 This is a fit and flare style mini dress and has a dramatic bardot neckline. The waist is accentuated with colour contrasted jewelled detail and the skirt has concealed pockets. 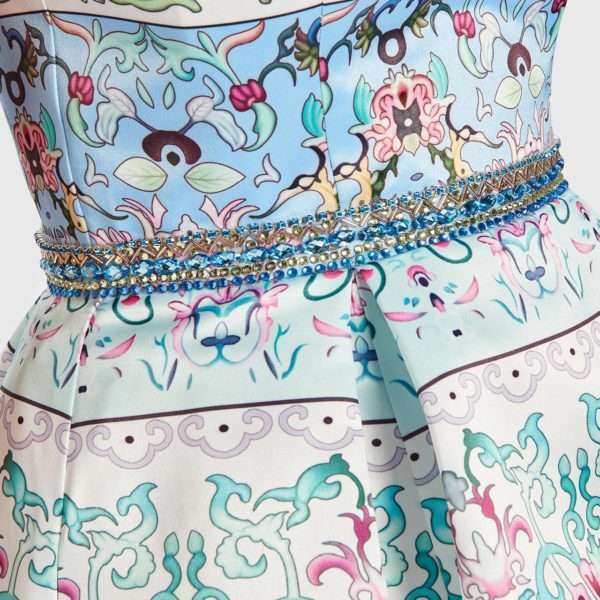 The ornate print of this dress is fun and fresh – a perfect dress for the summer. This would be a perfect party dress for a Bride for her Hen Party or for the day after the wedding. It would also look great at the races or for a wedding guest, or simply for a fun night out!